Bonnie Dumanis has pledged not to collect a salary and a pension at the same time if she is elected to the County Board of Supervisors. But it turns out, she already did that during her final two-and-a-half years as the county's district attorney. Former San Diego County District Attorney Bonnie Dumanis has been batting away questions about her lawyers’ work to secure her right to keep collecting a pension and a salary should she win elected office as a county supervisor. She’s insisted that she would not take both the pension and the salary and that her campaign was going to make that clear before the Union-Tribune revealed the work her lawyers had been doing. 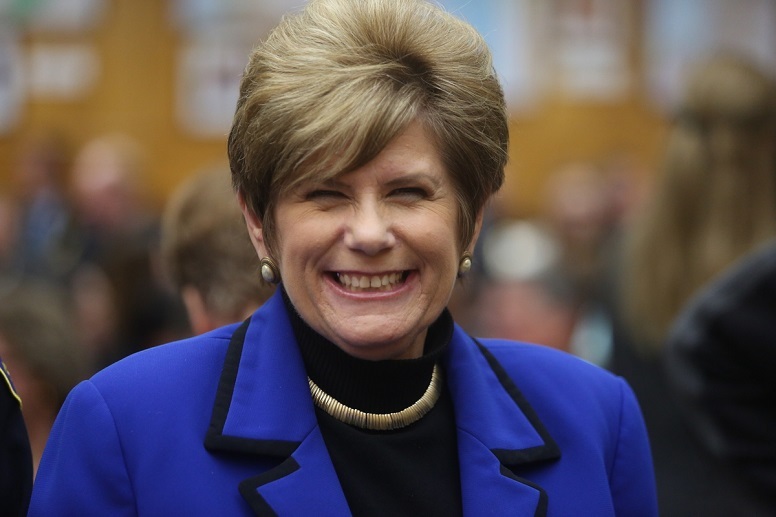 But it turns out Dumanis did take a pension and a salary at the same time for two-and-a-half years before she stepped down as district attorney. Before becoming DA, Dumanis was a judge — from 1995 to 2003. Dumanis has been collecting her judge’s pension — $29,318 a year — since January 2015, two-and-a-half years before she stepped down as district attorney last July, according to state pension officials. The pension pushed her combined 2015 income to nearly $303,823, and her combined 2016 income to $305,774, not including roughly $100,000 in annual benefits, according to pay records obtained by Transparent California. Numbers for 2017 were not readily available. Now retired from both jobs, Dumanis collects both pensions, $29,318 a year from CalPERS and $269,000 a year from SDCERA, or $298,400 combined. Double dipping was largely banned under state pension reform laws in 2013 but could continue without limit so long as the retiree pension and the salary came from governments covered by different pension systems. Retirees who go back to work in the same system are subject to strict limits, or must forfeit pension benefits — though elected officials were given a free pass through largely unknown provisions of state budget deals in 2015 and 2017. Since Dumanis’ pension for her years as a San Diego County superior court and municipal court judge come from the California Public Employees’ Retirement System, and her salary as district attorney came from the county, which is part of the San Diego County Employees Retirement Association, she was permitted to double dip. County Supervisors earn $172,450 a year. Roe said the public should also be aware of “the numerous elected officials throughout the county” that took a pension and salary. A 2016 Los Angeles Times report on double-dipping state lawmakers included Assemblywoman Shirley Weber, then-Sen. Marty Block and Assemblyman Rocky Chavez. Former San Diego Mayor Jerry Sanders also collected a pension while taking a city salary. He had promised in his campaign not to take the salary before later changing his mind. Former San Diego Police Chief William Landsdowne also collected a pension and salary. Shelley Zimmerman, the current police chief, participates in a program that allows her to collect a pension while finishing the last five years of her job. That money is waiting for her to cash out or further invest when she leaves the job soon.